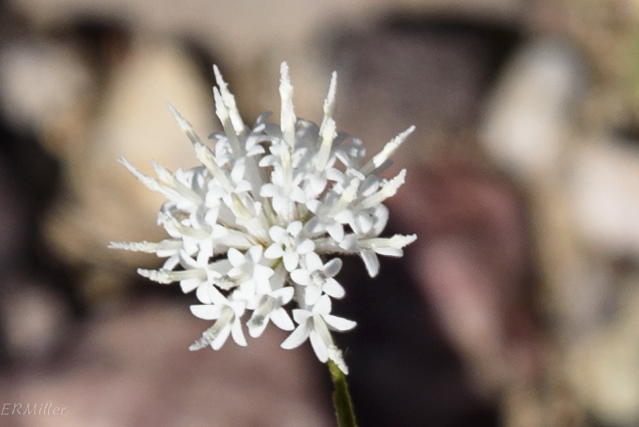 This pretty flower is an annual growing to two feet tall (at best), and is found in the Great Basin, Mojave, and Sonora deserts of Utah, California, Nevada, Arizona, and New Mexico. All species in the genus Chaenactis are found only in the western US. And this not so pretty flower is also an annual, also growing to about two feet tall. 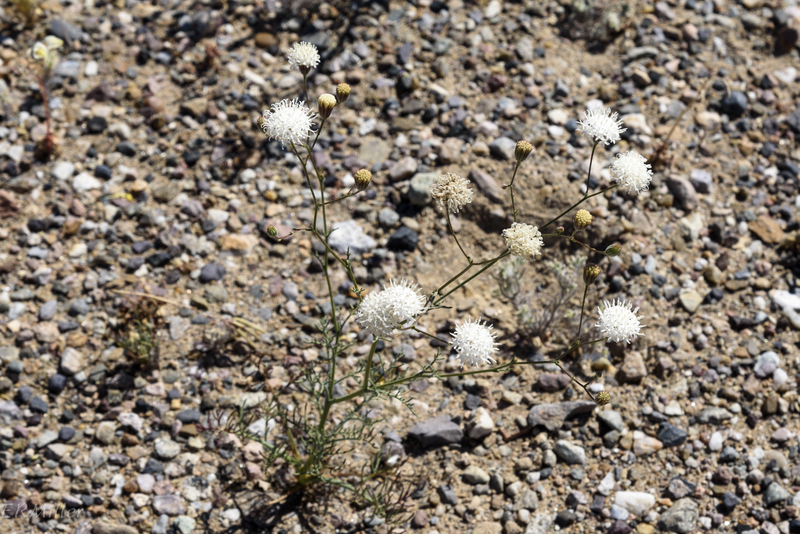 It’s found in the Mojave and Sonora deserts of California, Nevada, and Arizona. 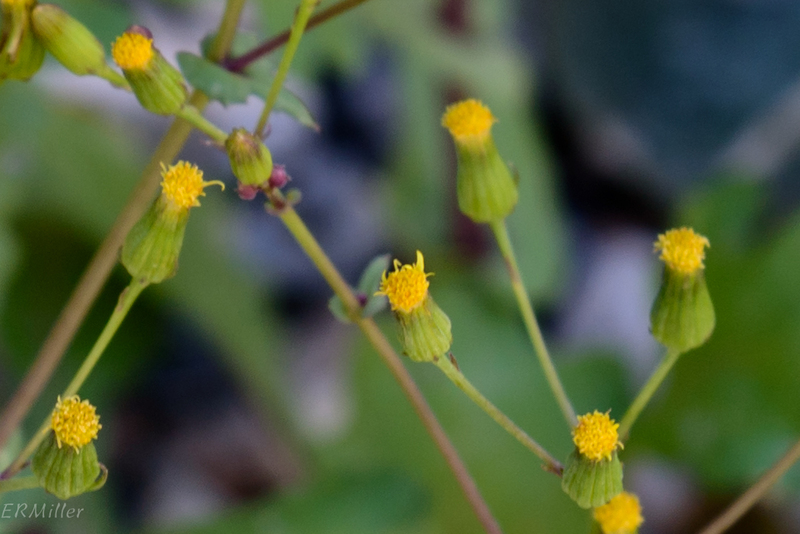 Senecio is mostly a western genus but two species appear in the east, including pilewort, which, confusingly, is no longer considered to be in the genus Senecio. Those darn splitters have been at it again. 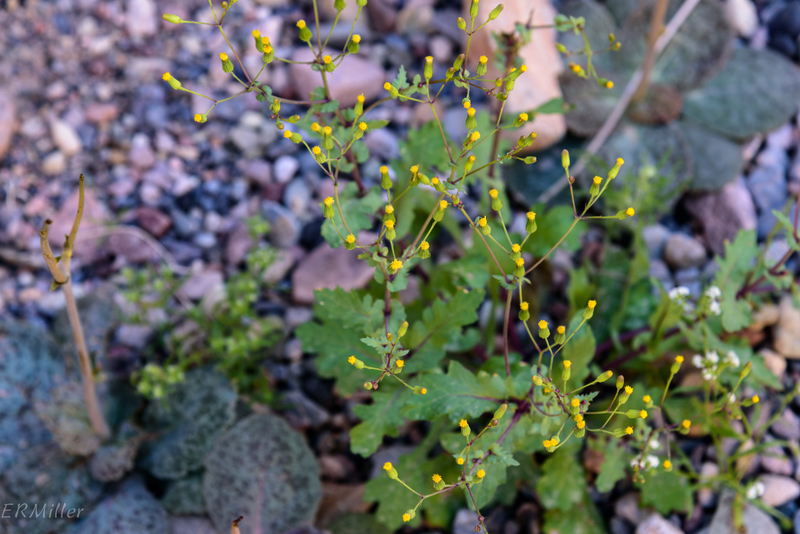 This entry was posted in Uncategorized and tagged Asteraceae, Chaenactis, Death Valley, Mojave groundsel, Mojave ragowrt, pebble pincushion, Senecio by elizabeth. Bookmark the permalink.